K. Chen, J. Kong, J. Zhu, N. Ermann, P. Predki, and U. F. Keyser. Digital Data Storage Using DNA Nanostructures and Solid-State Nanopores. A. Ohmann, C.-Y. Li, C. Maffeo, K Al Nahas, K. N. Baumann, K. Göpfrich, J. Yoo, U. F. Keyser, and A. Aksimentiev. N. A. W. Bell, K. Chen, S. Ghosal, M. Ricci, and U. F. Keyser. Asymmetric dynamics of DNA entering and exiting a strongly confining nanopore. N. A. W. Bell and U. F. Keyser. Digitally encoded DNA nanostructures for multiplexed, single-molecule protein sensing with nanopores. K. Göpfrich, C.-Y. Li, I. Mames, S. P. Bhamidimarri, M. Ricci, J. Yoo, A. Mames, A. Ohmann, M. Winterhalter, E. Stulz, A. Aksimentiev, and U. F. Keyser. Ion Channels Made from a Single Membrane-Spanning DNA Duplex. M. Schaich, J. Cama, K. Al Nahas, D. Sobota, K. Jahnke, S. Deshpande, C. Dekker, and U. F. Keyser. K. Misiunas and U. F. Keyser. Density dependent speed-up of particle transport in channels. A. Thorneywork, A. Kolomeisky, and U. F. Keyser. Distributions of First-Passage Times Reveal Underlying Free-Energy Landscapes. Direct Measurement reveal non-Markovian fluctuations of DNA threading through a nanopore. S. Zarkan, S. Cano-Muniz, J. Zhu, K. Al Nahas, J. Cama, U. F. Keyser, and D. K. Summers. Indole Pulse Signalling Regulates the Cytoplasmic pH of E. coli in a Memory-Like Manner. O. S. Ojambati, R. Chikkaraddy, W. D. Deacon, M. Horton, D. Kos, V. A. Turek, U. F. Keyser, and J. J. Baumberg. Quantum electrodynamics at room temperature coupling a single vibrating molecule with a plasmonic nanocavity. K. Al Nahas, J. Cama, K. Schaich, M. amd Hammond, S. Deshpande, C. Dekker, M. Ryadnov, and U. F. Keyser. A microfluidic platform for the characterisation of membrane active antimicrobials. J. Gladrow, M. Ribezzi-Crivellari, F. Ritort, and U. F. Keyser. Experimental evidence for symmetry breaking of transition path times. J. Kong, J. Zhu, K. Chen, and U. F. Keyser. Specific Biosensing Using DNA Aptamers and Nanopores. N. Ermann, N. Hanikel, V. Wang, K. Chen, and U. F. Keyser. Promoting single-file DNA translocations through nanopores using electroosmotic flow. V. Turek, R. Chikkaraddy, S. Cormier, B. Stockham, T. Ding, U. F. Keyser, and J. J. Baumberg. Thermo-responsive Actuation of a DNA Origami Flexor. K. Misiunas, N. Ermann, and U. F. Keyser. QuipuNet: convolutional neural network for single-molecule nanopore sensing. E. A. Hemmig, C. Fitzgerald, C. Maffeo, L. Hecker, S. E. Ochmann, A. Aksimentiev, P. Tinnefeld, and U. F. Keyser. V. Turek, S. Cormier, B. Sierra-Martin, U. F. Keyser, T. Ding, and J. J. Baumberg. The Crucial Role of Charge in Thermoresponsive-Polymer-Assisted Reversible Dis/Assembly of Gold Nanoparticles. R. Chikkaraddy, V. A. Turek, N. Kongsuwan, F. Benz, C. Carnegie, T. van de Goor, B. de Nijs, A. Demetriadou, O. Hess, U. F. Keyser, and J. J. Baumberg. Mapping Nanoscale Hotspots with Single-Molecule Emitters Assembled into Plasmonic Nanocavities Using DNA Origami. C. J. E. Haynes, J. Zhu, C. Chimerel, S. Hernandez-Ainsa, I. A. Riddell, T. K. Ronson, U. F. Keyser, and J. R. Nitschke. Blockable Zn10L15 ion channels via subcomponent self-assembly. Y. Tan, L. Dagdug, J. Gladrow, U. F. Keyser, and S. Pagliara. Particle transport across a channel via an oscillating potential. N. Kongsuwan, A. Demetriadou, R. Chikkaraddy, F. Benz, V. A. Turek, U. F. Keyser, J. J. Baumberg, and O. Hess. Suppressed Quenching and Strong-Coupling of Purcell-Enhanced Single-Molecule Emission in Plasmonic Nanocavities. K. Chen, M. Juhasz, F. Gularek, E. Weinhold, T. Yu, U. F. Keyser, and N. A. W. Bell. Ionic Current-Based Mapping of Short Sequence Motifs in Single DNA Molecules using Solid-State Nanopores. K. Chen, N. A. W. Bell, J. Kong, Y. Tian, and U. F. Keyser. Direction- and Salt-Dependent Ionic Current Signatures for DNA Sensing with Asymmetric Nanopores. M. I. Walker, K. Ubych, V. Saraswat, E. A. Chalklen, P. Braeuninger-Weimer, S. Caneva, R. S. Weatherup, S. Hofmann, and U. F. Keyser. Extrinsic Cation Selectivity of 2D Membranes. A. C. Hodgson, C. V. Verstreken, C. L. Fisher, U. F. Keyser, S. Pagliara, and K. J. Chalut. A microfluidic device for characterizing nuclear deformations. J. Kong, J. Zhu, and U. F. Keyser. Single Molecule Based SNP Detection Using Designed DNA Carriers and Solid-State Nanopores. J. Cama, M. Schaich, K. Al Nahas, S. Hernández-Ainsa, S. Pagliara, and U. F. Keyser. 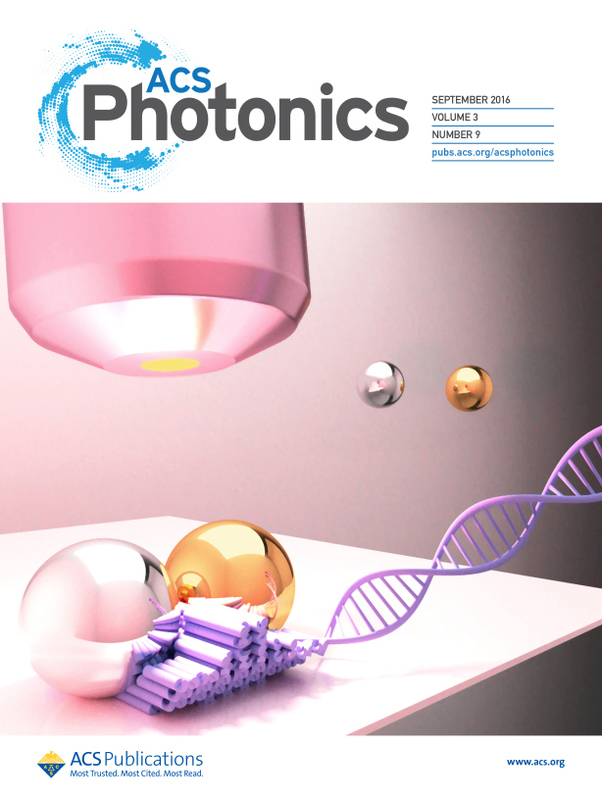 Direct Optofluidic Measurement of the Lipid Permeability of Fluoroquinolones. G. Rempfer, S. Ehrhardt, N. Laohakunakorn, G. B. Davies, U. F. Keyser, C. Holm, and J. de Graff. Selective Trapping of DNA using Glass Microcapillaries. K. Göpfrich, C.-Y. Li, M. Ricci, S. P. Bhamidimarri, J. Yoo, B. Gyenes, A. Ohmann, M. Winterhalter, A. Aksimentiev, and U. F. Keyser. 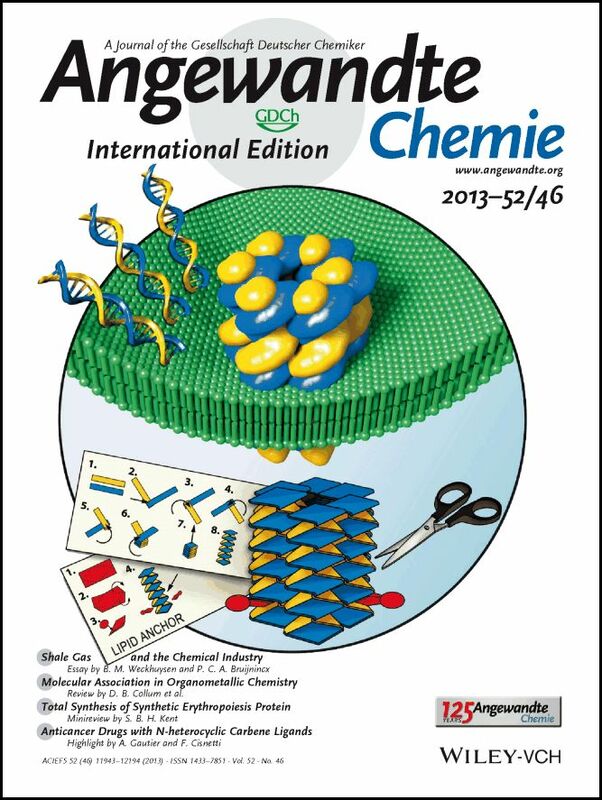 Large-Conductance Transmembrane Porin Made from DNA Origami. L. Weller, V. V. Thacker, L. O. Herrmann, E. A. Hemmig, A. Lombardi, U. F. Keyser, and J. J. Baumberg. Gap-dependent plasmonic coupling of Ag-Au nanoparticle heterodimers using DNA origami-based self-assembly. S. Tesoro, K. Göpfrich, T. Kartanas, U. F. Keyser, and S. E. Ahnert. Nondeterministic self-assembly with asymmetric interactions. S. Hernández-Ainsa, M. Ricci, L. Hilton, A. Avino, R. Eritja, and U. F. Keyser. Controlling the Reversible Assembly of Liposomes through a Multistimuli Responsive Anchored DNA. J. Kong, N. A. W. Bell, and U. F. Keyser. Quantifying Nanomolar Protein Concentrations Using Designed DNA Carriers and Solid-State Nanopores. S. Purushothaman, J. Cama, and U. F. Keyser. Dependence of Norfloxacin diffusion across bilayers on lipid composition. E. A. Hemmig, C. Creatore, B. Wünsch, L. Hecker, P. Mair, M. A. Parker, S. Emmott, P. Tinnefeld, U. F. Keyser, and A. W. Chin. Programming light-harvesting efficiency using DNA origami. Enhancing nanopore sensing with DNA nanotechnology - Commentary. N. A. W. Bell, M. Muthukumar, and U. F. Keyser. Translocation frequency of double-stranded DNA through a solid-state nanopore. M. I. Walker, P. Braeuninger-Weimar, R. S. Weatherup, S. Hofmann, and U. F. Keyser. Measuring the Proton Selectivity of Graphene Membranes. J. Cama, H. Bajaj, S. Pagliara, T. Maier, Y. Braun, M. Winterhalter, and U. F. Keyser. Quantification of fluoroquinolone uptake through the outer membrane channel OmpF of Escherichia coli. N. Laohakunakorn and U. F. Keyser. Electroosmotic flow rectification in conical nanopores. N. Martyushenko, N. A. W. Bell, R. Lamboll, and U. F. Keyser. Nanopore analysis of amyloid fibrils formed by lysozyme aggregation. K. Misiunas, S. Pagliara, E. Lauga, J. R. Lister, and U. F. Keyser. Nondecaying hydrodynamic interactions along narrow channels. K. Göpfrich, T. Zettl, A. E. C. Meijering, S. Hernández-Ainsa, S. Kocabey, T. Liedl, and U. F. Keyser. DNA-Tile Structures Induce Ionic Currents through Lipid Membranes. Specific Protein Detection using Designed DNA Carriers and Nanopores. O. Otto, P. Rosendahl, A. Mietke, S. Golfier, C. Herold, D. Klaue, S. Girardo, S. Pagliara, A. Ekpenyong, A. Jakobi, M. Wobus, N. Töpfner, U. F. Keyser, J. Mansfeld, E. Fischer-Friedrich, and J. Guck. Real-time deformability cytometry: High-throughput cell mechanical phenotyping on-the-fly. C.-Y. Li, E. A. Hemmig, J. Kong, J. Yoo, S. Hernández-Ainsa, U. F. Keyser, and A. Aksimentiev. Ionic Conductivity, Structural Deformation and Programmable Anisotropy of DNA Origami in Electric Field. M. I. Walker, R. S. Weatherup, N. A. W. Bell, S. Hofmann, and U. F. Keyser. Free-standing graphene membranes on glass nanopores for ionic current measurements. A. Seifert, K Goepfrich, J. Burns, N. Fertig, U. F. Keyser, and S. Howorka. Bilayer-spanning DNA nanopores with voltage-switching between open and closed state. A. Huhle, D. Klaue, H. Brutzer, D. Daldrop, O. Otto, U. F. Keyser, and R. Seidel. Camera-based three-dimensional real-time particle tracking at kHz rates and Angstrom accuracy. T. Gutsmann, T. Heimburg, U. F. Keyser, K. R. Mahendran, and M. Winterhalter. Protein reconstitution into free standing planar lipid membranes for electrophysiological characterization. N. Laohakunakorn, V. V. Thacker, M. Muthukumar, and U. F. Keyser. Electroosmotic flow reversal outside glass nanopores. R. D. Bulushev, L. J. Steinbock, S. Khlybov, J. F. Steinbock, U. F. Keyser, and A. Radenovic. Measurement of the position-dependent electrophoretic force on DNA in a glass nanocapillary. S. Pagliara, S. L. Dettmer, K. Misiunas, L. Lea, Y. Tan, and U. F. Keyser. Diffusion coefficients and particle transport in synthetic membrane channels. C. Chimerel, E. Emery, D. K. Summers, U. F. Keyser, F. M. Gribble, and F. Reimann. Bacterial Metabolite Indole Modulates Incretin Secretion from Intestinal Enteroendocrine L Cells. S. M. Hernández-Ainsa, , and U. F. Keyser. DNA origami nanopores: developments, challenges and perspectives. S. Pagliara, S. L. Dettmer, and U. F. Keyser. Channel-facilitated diffusion boosted by particle binding at the channel entrance. Nanopores formed by DNA origami: a review. S. L. Dettmer, K. Misiunas, S. Pagliara, and U. F. Keyser. Anisotropic diffusion of spherical particles in closely confining microchannels. J. Cama, C. Chimerel, S. Pagliara, A. Javer, and U. F. Keyser. A label-free microfluidic assay to quantitatively study antibiotic diffusion through lipid membranes. S. Pagliara, K. Franze, C. R. McClain, G. W. Wylde, C. L. Fisher, R. J. M. Franklin, A. J. Kabla, U. F. Keyser, and K. J. Chalut. Auxetic nuclei in embryonic stem cells exiting pluripotency. O. J. Pambos and U. F. Keyser. Giant unilamellar vesicles and suspended nanobilayers as model systems for biophysical research. H. Gaimster, J. Cama, S. Hernández-Ainsa, U. F. Keyser, and D. K. Summers. The indole pulse: a new perspective on indole signalling in escherichia coli. K. D. Schleicher, S. L. Dettmer, L. E. Kapinos, S. Pagliara, U. F. Keyser, S. Jeney, and R. Y. H. Lim. Selective Transport Control on Molecular Velcro Made From Intrinsically Disordered Proteins. V.V. Thacker, L. O. Hermann, D. O. Sigle, T. Zhang, T. Liedl, J. J. Baumberg, and U. F. Keyser. DNA origami based assembly of gold nanoparticle dimers for surface-enhanced Raman scattering. S. L. Dettmer, U. F. Keyser, and S. Pagliara. Local characterization of hindered Brownian motion by using bright-field video microscopy and 3D particle tracking. S. Hernández-Ainsa, K. Misiunas, V. V. Thacker, E. A. Hemmig, and U. F. Keyser. Voltage dependent properties of DNA origami nanopores. T. Yanagishima, N. Laohakunakorn, U. F. Keyser, E. Eiser, and H. Tanaka. Influence of internal viscoelastic modes on the Brownian motion of a lambda-DNA coated colloid. V. V. Thacker, K. Bromek, B. Meijer, J. Kotar, B. Sclavi, M. Cosentino Lagomarsino, U. F. Keyser, and P. Cicuta. N. Laohakunakorn, B. Gollnick, F. Moreno-Herreo, D. G. A. L. Aart, R. P. A Dullens, S. Ghosal, and U. F. Keyser. O. Laohakunakorn, N. an dOtto, S. Sturm, K. Kroy, and U. F. Keyser. Dynamic single-molecule force spectroscopy using optical tweezers and nanopores. S. Hernández-Ainsa and U. F. Keyser. 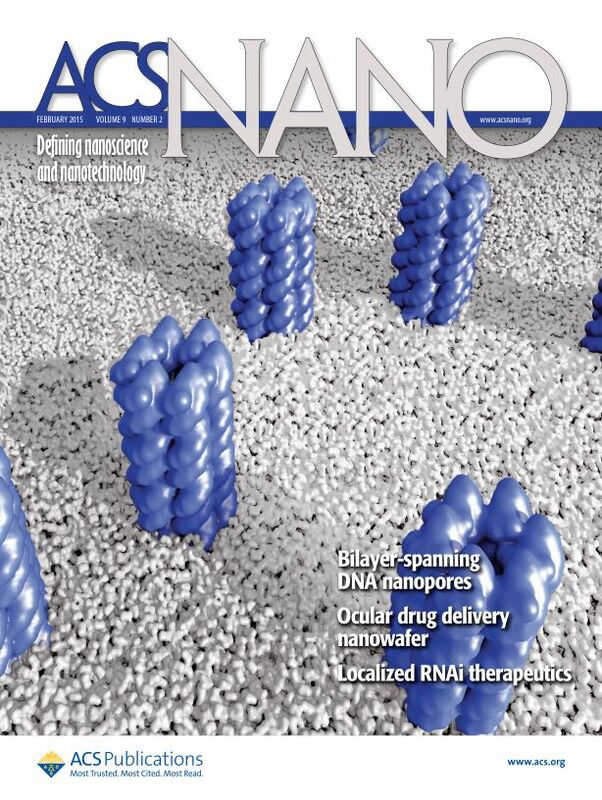 DNA origami nanopores: an emerging tool in biomedicine (invited editorial). J. Sha, T. Hasan, S. Milana, C. Bertulli, N. A. W. Bell, G. Provotera, Z. Ni, Y. Chen, F. Bonaccorso, A. Ferrari, U. F. Keyser, and Y. Y. S. Huang. Nanotubes Complexed with DNA and Proteins for Resistive-pulse Sensing. J. R. Burns, K. Goepfrich, J. W. Wood, V. V. Thacker, E. Stulz, U. F. Keyser, and S. Howorka. Lipid-Bilayer-Spanning DNA Nanopores with a Bifunctional Porphyrin Anchor (published as HOT PAPER). S. Hernández-Ainsa, N. A. W. Bell, V. V. Thacker, K. Goepfrich, K. Misiunas, M. Fuentes-Perez, F. Moreno-Herrero, and U. F. Keyser. DNA origami nanopores for controlling DNA translocation. N. Laohakunakorn, S. Ghosal, O. Otto, K. Misiunas, and U. F. Keyser. DNA Interactions in Crowded Nanopores. N. A. W. Bell, V. V. Thacker, S. Hernández-Ainsa, M. Fuentes-Perez, F. Moerno-Herrero, T. Liedl, and U. F. Keyser. Multiplexed ionic current sensing with glass nanopores. W. Li, N. A. W. Bell, S. Hernández-Ainsa, V. V. Thacker, A. M. Thackray, R. Bujdoso, and U. F. Keyser. Single protein molecule detection by glass nanopores. O. Otto, S. Sturm, N. Laohakunakorn, U. F. Keyser, and K. Kroy. Rapid internal contraction boosts DNA friction. S. Pagliara, C. Schwall, and U. F. Keyser. Optimizing Diffusive Transport Through a Synthetic Membrane Channel. C. Chimerel, A. J. Murray, E. R. Olderwurtel, D. K. Summers, and U. F. Keyser. The effect of bacterial signal indole on the electrical properties of lipid membranes. K. Goepfrich, C. V. Kulkarni, O. Pambos, and U. F. Keyser. Lipid Nanobilayers to Host Biological Nanopores for DNA Translocations. S. Hernández-Ainsa, C. Muus, N. A. W. Bell, L. J. Steinbock, V. V. Thacker, and U. F. Keyser. Lipid-coated nanocapillaries for DNA sensing. L. J. Steinbock, A. Lucas, O. Otto, and U. F. Keyser. Salt dependent transport of ions and DNA through nanocapillaries. V. V. Thacker, S. Ghosal, S. Hernández-Ainsa, N. A. W. Bell, and U. F. Keyser. Studying DNA translocation in nanocapillaries using single molecule fluorescence. Capstan Friction Model for DNA Ejection from Bacteriophages. V. Fodera, S. Pagliara, O. Otto, U. F. Keyser, and A. M. Donald. Microfluidics Reveals a Flow-Induced Polymorphism of Protein Aggregates. A. Ekpenyong, G. Whyte, K. Chalut, S. Pagliara, F. Lautenschlager, C. Fiddler, S. Paschke, U. F. Keyser, E. R. Chilvers, and J. Guck. Viscoelastic Properties of Differentiating Blood Cells are Fate- and Function-Dependent. Nanopores - mission accomplished and what next? Comment on "Nanopores: a journey towards DNA sequencing" by M. Wanunu. C.-W. Lee, S. Pagliara, U. F. Keyser, and J. J. Baumberg. Perpendicular coupling to in-plane photonics using arc waveguides fabricated via two-photon polymerization. C. Chimerel, C. M. Field, S. Pinero-Fernandez, U. F. Keyser, and D. K. Summers. Indole prevents Escherichia coli cell division by modulating membrane potential. N. A. W. Bell, C. R. Engst, M. Ablay, G. Divitini, C. Ducati, T. Liedl, and U. F. Keyser. Optical tweezers for mechanical control over DNA in a nanopore. Methods Mol. Biol., 870:115-134, 2012. L. J. Steinbock and U. F. Keyser. Analyzing single DNA molecules by nanopore translocation. Methods Mol. Biol., 870:135-145, 2012. N. A. W. Bell, S. Hernández-Ainsa, C. Engst, T. Liedl, and U. F. Keyser. Ionic current detection of DNA origami nanostructures with nanocapillaries. RSC Proceedings, pages 1-4, 2012. V. V. Thacker, S. Hernández-Ainsa, J. L. Gornall, L. J. Steinbock, and U. F. Keyser. Combining fluorescence imaging and ionic current detection in nanocapillaries. O. J. Pambos, K. Goepfrich, K. R. Mahendran, J. L. Gornall, O. Otto, L. J. Steinbock, C. Chimerel, M. Winterhalter, and U. F. Keyser. Towards simultaneous force and resistive pulse sensing in protein nanopores using optical tweezers. O. Otto, N. Laohakunakorn, L. J. Steinbock, and U. F. Keyser. Forces on DNA in confinement as measured by optical tweezers. Potential Dependence of DNA Translocation. S. Pagliara, C. Chimerel, R. Langford, D. G. A. L. Aarts, and U. F. Keyser. Colloid flow control in microchannels and detection by laser scattering. O. Otto, L. J. Steinbock, and U. F. Keyser. Nanocapillaries and Optical Tweezers for Studies on DNA in Confinement. L. J. Gornall, K. R. Mahendran, O. J. Pambos, L. J. Steinbock, O. Otto, C. Chimerel, M. Winterhalter, and U. F. Keyser. Simple reconstitution of protein pores in nano lipid bilayers. Sub-micrometer channels with tuneable cross section and laser scattering detection for microfluidics. O. Otto, L. J. Steinbock, D. W. Wong, J. L. Gornall, and U. F. Keyser. Note: Direct force and ionic-current measurements on DNA in a nanocapillary. Controlling molecular transport through nanopores. O. Otto, J. L. Gornall, G. Stober, F. Czerwinski, R. Seidel, and U. F. Keyser. S. Pinero-Fernandez, C. Chimerel, U.F. Keyser, and D.K. Summers. Indole transport across Escherichia coli membranes. C. Gutsche, M. M. Elmahdy, K. Kegler, I. Semenov, T. Stangner, O. Otto, O. Ueberschaer, U. F. Keyser, M. Krueger, M. Rauscher, R. Weeber, R. Harting, Y. W. Kim, V. Lobaskin, R. R. Netz, and F. Kremer. Micro-rheology on (polymer-grafted) colloids using Optical Tweezers. C. Wagner, C. Olbrich, H. Brutzer, M. Salomo, U. Kleinekathofer, U. F. Keyser, and F. Kremer. DNA condensation by TmHU studied by optical tweezers, AFM and molecular dynamics simulations. O. Otto, F. Czerwinski, J. L. Gornall, G. Stober, L. B. Oddershedde, R. Seidel, and U. F. Keyser. Supplementary Material for: Real-time Particle Tracking at 10,000 fps using Optical Fiber Illumination. L. J. Steinbock, O. Otto, C. Chimerel, J. Gornall, and U. F. Keyser. Detecting DNA Folding with Nanocapillaries. DNA Tug of War: Tether forces on DNA in a nanopore. O. Otto and F. Czerwinski. Observing and Controlling Biomolecules with Optical Tweezers and LabVIEW. L. J. Steinbock, O. Otto, D. R. Skarstam, S. Jahn, C. Chimerel, J. L. Gornall, and U. F. Keyser. Probing DNA with Micro- and Nanocapillaries and Optical Tweezers. U. F. Keyser, S. Van Dorp, and S. G. Lemay. Tether forces in DNA electrophoresis. L. J. Steinbock, G. Stober, and U. F. Keyser. Sensing DNA-coatings of microparticles using micropipettes. G. Stober, L. J. Steinbock, and U. F. Keyser. Modeling of colloidal transport in capillaries. B. Wunderlich, C. Leirer, A.-L. Idzko, U. F. Keyser, A. Wixforth, V. M. Myles, T. Heimburg, and M. F. Schneider. Phase state dependent current fluctuations in pure lipid membranes. S. van Dorp, U. F. Keyser, N. H. Dekker, C. Dekker, and S. G. Lemay. Origin of the electrophoretic force in nanopores. U. F. Keyser, J. van der Does, C. Dekker, and N. H. Dekker. Methods in Molecular Biology 544, chapter 8: Inserting and Manipulating DNA in a Nanopore with Optical Tweezers, pages 95-112. I. Semenov, O. Otto, G. Stober, P. Papadopoulos, U. F. Keyser, and F. Kremer. O. Otto, C. Gutsche, F. Kremer, and U. F. Keyser. Optical tweezers with 2.5 kHz bandwidth video detection for single-colloid electrophoresis.